Mayor Dwight C. Jones was joined by Sheriff C.T. Woody, City Council President Kathy Graziano, and City Council Vice President Ellen Robertson today in a ground breaking ceremony for the city’s new Justice Center. The ceremony marks the start of construction on the $134.6 million Justice Center project. “We want this to be a facility that actually yields positive results, rather than a facility that drains resources and pulls a community downward,” said Mayor Jones. “This is an issue that I did fight for because building this new justice center is right thing to do.” The facility will be located at the current jail site and will have a rated capacity of 1,032 beds. 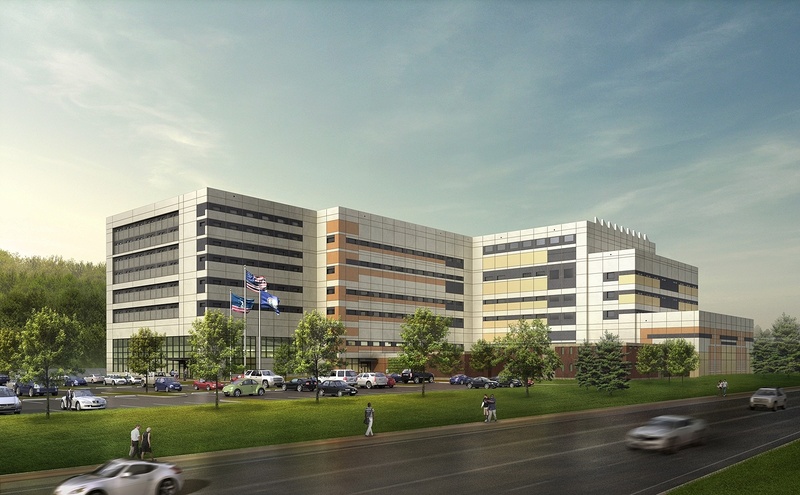 The new Justice Center will be more efficient, provide more humane treatment of inmates, better conditions for the employees and visitors, and will cost taxpayers less money over the life of the facility. The Jones Administration is also focused on finding alternative solutions for non-violent offenders and for those suffering from mental illness. “While the journey to this moment was long and riddled with distractions, our efforts will yield a new facility which enhances the lives of the employees who work here, the community members who volunteer here and the citizens who visit here,” comments Sheriff C.T. Woody. 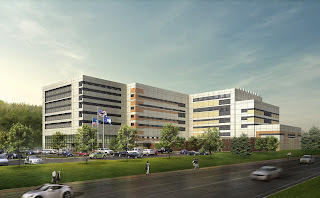 Tompkins/Ballard Joint Venture, the winning vendor for the construction of the new Justice Center, proposed a single-phased approach so inmates would not need to be moved out of the existing jail during construction. The proposal also was under budget and exceeded Mayor Jones’ goal of a 40 percent minority participation rate, as the proposal had a 50.2 minority business inclusion percentage and included 13 local area minority business firms as part of the construction team. The facility is slated to open in January of 2014 and to be fully completed by the final quarter of 2014. Mayor Dwight C. Jones today announced changes at the Richmond Juvenile Detention Center (RJDC). Effective January 16, 2012, the superintendent of the Richmond Juvenile Detention Center has been relieved of her duties and Jack Scott, Executive Director of the Crater Youth Commission in Petersburg, has been named interim superintendent. Chuck Kehoe, director of the Richmond Department of Justice Services (RDJS) will serve as the lead for the RJDC organization’s Correction Action Plan. Also, Charles Lampkin from RDJS has been named as the interim assistant superintendent. Aside from the personnel changes, RJDC staff has begun mandatory retraining. The training is expected to continue over the next eight weeks. Building repairs and maintenance needs are continuing to be readily addressed.